Our totally pure, non toxic, clean burning, cotton wick candles. Made with eco soy wax and fragranced *only* with our signature English Lavender and Rose Geranium pure essential oils (like our soaps, no synthetic fragrance is added, so the smell is slightly more subtle but totally pure and natural). We are thrilled with them, and hope you’ll love them as much as we do. The wicks are also 100% natural, they are cotton (instead of traditional lead) and designed specifically to burn best in soy wax candles. No colourants or dyes, so they are all white, or cream in colour depending on the essential oil added. Boxed in our usual branding, making the perfect gift. Artisan Eco-Soy Candles in our signature fragrances. Available in 2 fragrances Lavender and Rose Geranium only using pure essential oils to fragrance. The eco-soy candles are hand poured using natural soybean wax which is biodegradable and sustainable, making them non toxic and last 30-50% longer than a regular paraffin wax candle. The wicks are cotton (not lead) and they are totally clean burning without any pollutants, toxins or carcinogens. Perfect for any room in the house (or office!). As with all our products, much research, thinking and testing went into these candles. They had to hit every tick box of our soaps. The soy wax we have chosen is eco-soy. It is 100% GM free with no pesticides or herbicides used at any stage in its cultivation. Soya beans are, of course, a renewable source and the wax is naturally bio-degradable, so it is really is an eco-friendly product. The great thing is that soy also has “excellent fragrance-holding qualities” – which is important as we only wanted to use 100% essential oils to fragrance them. A tricky task as most candles on the market are “with essential oils” meaning they only actually contain a very small percentage and are topped up with a synthetic fragrance.  So our candles, like our soaps will smell more subtle – but we assure you they are 100% pure and natural but the scent will be long-lasting and even scent through out the time they burn, hey are cleaner burning too and last 30-50% longer than their paraffin equivalents. Soy wax burns cleaner than paraffin wax too, which is made from crude oil, so with no petrol-carbon soot that can blacken walls as well as releasing toxic carcinogens in to the air which I’m sure you’ve seen in the press quite a bit of late.